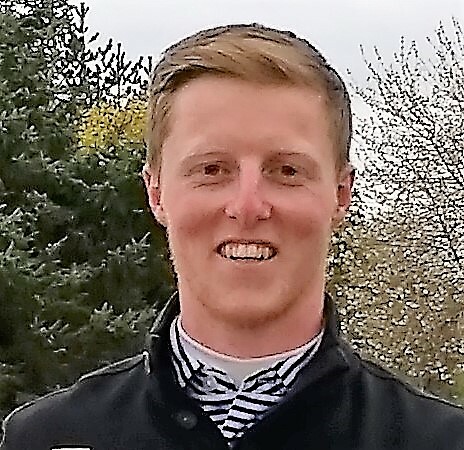 Craig Howie beat fellow Scot Chris Robb with a birdie at the third hole of a sudden-death play-off climax to the Pro Golf Tour's Leipzig Open in Germany today. They had tied on 16-under-par 200 after the regulation 54 holes. Howie, pictured, had scores of 67, 69 and 64, Robb 70, 64 and 66. They finished a shot ahead of third-placed Ondrej Leiser (Czech Republic). Ross Cameron from Peterhead, the only other Scot to survive the 36-hole cut finished joint 46th on 218 with scores of 74, 69 and 75. Howie earned 6,666 euros, Robb 4,000 euros and Cameron 395 euros. 200 C Howie (Sco) 67 69 64 (6,666 euros) beat C Robb (Sco) 70 64 66 (4,000 euros) at third hole of play-off.